The current anime season is stacked with huge returning shows like Gintama, Food Wars!, and Kekkai Sensen & Beyond; making it relatively difficult for a brand new series to find an audience. Shoujo Shuumatsu Ryokou is made by White Fox, the studio behind Steins;Gate and Re:Zero kara Hajimeru Isekai Seikatsu. 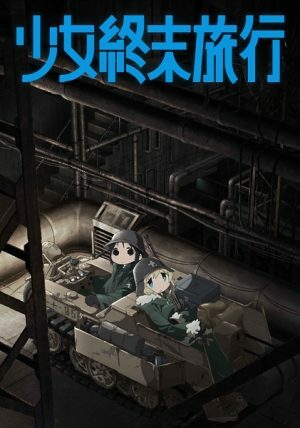 Girls’ Last Tour is based on the popular ongoing manga of the same name, created by Tsukumizu. 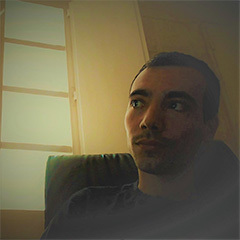 The plot does not necessarily strive for originality, instead prioritizing the relationship between the central characters. In this post-apocalyptic world, Chito and Yuuri are seemingly the only two people left alive. The duo set out on a journey to travel the world using a motorbike, to try and overcome their loneliness. Most of their days are spent scavenging for food or fuel, while their philosophical and social conversations provide some degree of entertainment. Girls’ Last Tour is a cute and touching series which is not afraid to tackle mature topics in a serious manner. If Chito and Yuuri’s adventure is right up your alley, we recommend trying the following series. 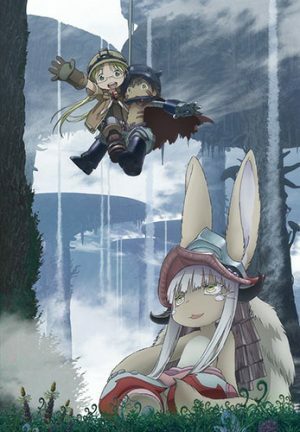 During the previous season, Made In Abyss took the anime world by storm. This gorgeous adventure show captured the hearts and imaginations of audiences, primarily due to the well-developed characters and the fascinating world. The Abyss is a massive hole stretching into the Earth which is inhabited by mysterious creatures and ancient artifacts. The surface dwellers have no clue how this seemingly bottomless pit came to be, as nobody has reached the lowest level. The White Whistles are legendary adventurers who form teams to explore the chasm. Unfortunately, some of their members are missing, prompting the young Riko to set out on her own to try and save her mother. At first, this seems like a fool’s errand, since the young girl does not have the experience or resources to descend the Abyss, but she catches a lucky break in the form of a young robotic boy named Regu. After they decide to join forces, the duo set out to explore the mysteries of the Abyss. Made In Abyss is a future classic. The gorgeous animation perfectly suits the whimsical but tense storyline, offering countless laughs and a few tears. 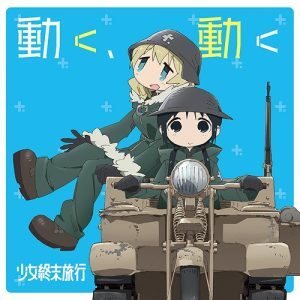 The premise is similar to Girls’ Last Tour, as two younger children set out on a journey to learn the secrets of their world, with both series having a similar tone. Imagine living in the outskirts of a war-torn country, one that is so desperate for soldiers, that even young girls are allowed to join the military. That is the setting presented in A-1 Pictures’ Sound of the Sky. At initial glance, Seize appears to be an idealistic town that allows its citizens to live out their days in peace. Unfortunately, it forms part of Helvetia, which is stuck in an ongoing war against the neighboring Roman Empire. If that was not bad enough, Seize is located right next to the border separating these two countries. One day, the young and lively Kanata Sorami applies to join the Helvetian platoon stationed in Seize and officially becomes part of the war. While some soldiers fight for their country’s honor, Kanata’s ambitions are slightly more innocent. As an avid fan of music, her primary motivation is to learn how to play the bugle, and she wants the Sergeant Major to be her teacher. Sound of the Sky is a slice of life series set in a surprisingly dark landscape. 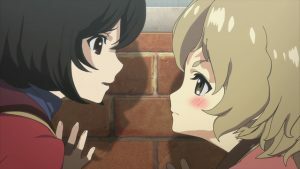 Similarly to Girls’ Last Tour, the episodes focus mostly on developing the relationships between the core characters, creating a light-hearted but surreal atmosphere. With a brilliant first episode that quickly establishes the tone of the series, this is worth watching for those who appreciate the more laid-back moments of White Fox’s anime. Lerche is a reliable studio that gained a huge following due to the Ansatsu Kyoushitsu franchise. Their work tends to be brilliantly animated, with content suitable for a more mature audience. While comedy is constantly on the forefront throughout most of the studio’s shows, viewers can anticipate a few graphic depictions of violence and a slew of dramatic moments. School-Live! 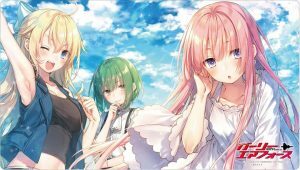 is no exception, as no other series in Lerche’s catalog melds slice of life hijinks and psychological horror to this extent. This is an anime that requires viewers to go in cold, as there are dozens of surprises hidden throughout the twelve episodes. 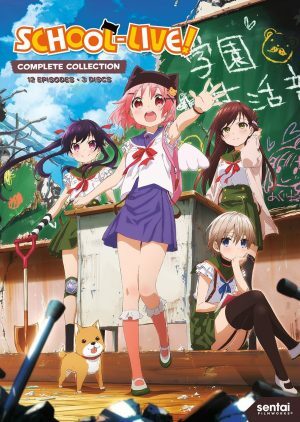 In terms of content, School-Live! goes to darker places than Girls’ Last Tour, but the journey is rather similar. 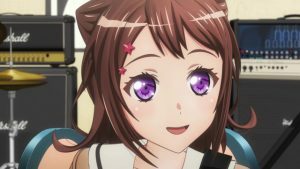 Yuki Takeya loves her school friends and wishes it will never come to an end. Unfortunately, things are far from perfect at Megurigaoka Private High School and Yuki’s optimistic nature constantly puts her in danger. Gakkougurashi! follows four friends as they try to make the best of a bad situation. Any Anime Like Girls’ Last Tour / Any Anime Like Shoujo Shuumatsu Ryokou ? Studio 3Hz’s Flip Flappers is kind of insane. 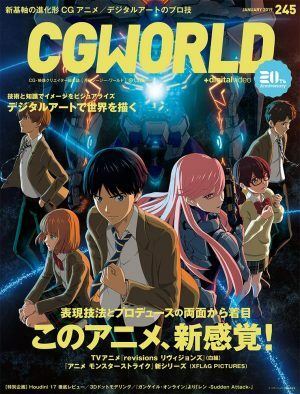 Although categorized as a sci-fi and adventure anime, the studio should be commended for the creativity exhibited throughout the series. The animation is vibrant and jumps off the screen, creating an almost psychedelic experience. Like Girls’ Last Tour, the story can feel incoherent at times and is not the main focus of Flip Flappers. Do not start this series expecting a strong narrative, as Studio 3Hz’s anime works best as an exploration of one’s emotions and imagination. Cocona is a middle-schooler with no real purpose. Disconnected from the people around her, this young girl is just drifting aimlessly from day to day. Things change when the enigmatic Papika crashes Cocona’s bubble, dragging the school-girl into the world of Pure Illusion. This dimension is not bound by our reality, with a dynamic environment that constantly changes from one visit to the next. While in this world, the duo gain supernatural powers to fight strange creatures who possess crystal shards. 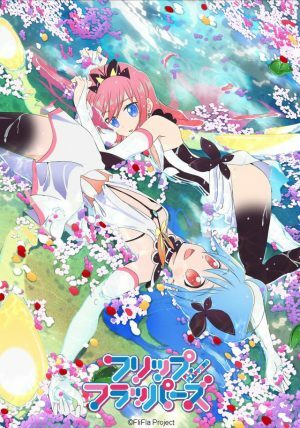 Flip Flappers is rather busy at times, as Studio 3Hz animated everything and the kitchen sink, but Papika and Cocona’s relationship is well-developed and engaging. Exploring themes of friendship and loneliness, this is an easy recommendation for those who love Girls’ Last Tour. From all the anime mentioned on this list, Kino’s Journey holds the most obvious similarities with Girls’ Last Tour. Kino is traveling the world on her anthropomorphic motorcycle, as she goes from one country to the next. Spending only a few days in each area, the young girl learns what she can about the country’s people and their culture. With her bike Hermes, they experience both the world’s beauty and its darker underbelly. Maintaining their freedom throughout their many adventures, Kino and Hermes are on a journey of self-discovery. While a remake is currently airing, the original 2003 series is fantastic and worth tracking down. Kino and Hermes take on the role of passive viewers, as they do not judge the philosophical beliefs of the visited countries. Nearly every episode introduces a new area, creating an always present sense of discovery. The core relationship might be between a human and a bike, but their rapport is thought-provoking and relatable. 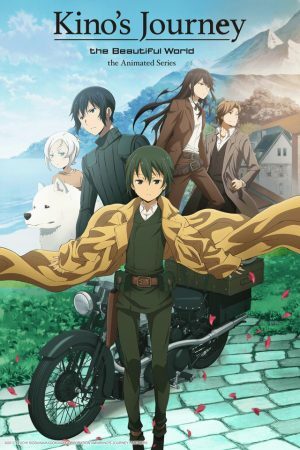 Kino’s Journey is worth watching for any anime fan, but especially for those seeking something akin to Girls’ Last Tour. Prepare yourself for an unpredictable adventure which is not afraid to comment on social issues, while still providing an enjoyable and easy to digest overall experience. Once in awhile, it is nice to watch something a bit more light-hearted. Kemono Friends aired earlier this year and is directed towards a younger audience, although most people should be able to enjoy it. 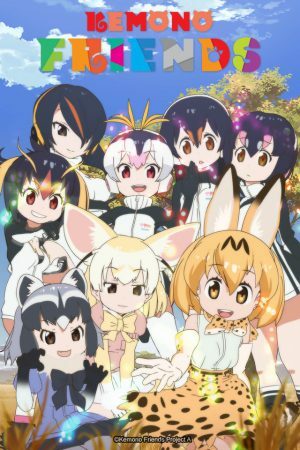 Japari Park is a strange paradise and home to many different races of humanoid animals called Friends. Their days are spent exploring their natural habitat and just having fun. One day, Serval discovers a new type of Friend named Kaban. Unfortunately, this mysterious young girl is unaware of what type of creature she is, so the two set on a journey spanning the entire Japari Park. Going from habitat to habitat, the Park Library serves as their final destination, since it might hold the key to learning something about Kaban’s identity. Kemono Friends does not tackle serious themes like loneliness and depression, instead opting for a more comedic and blissful tone. Kaban and Serval share an interesting relationship, that is similar to Chito and Yuuri’s dynamic from Girls’ Last Tour. There is also a sense of mystery surrounding Kaban’s identity, and Japari Park is a fascinating place to explore. Kemono Friends is best for those who enjoyed the core friendship and sense of adventure in White Fox’s anime. 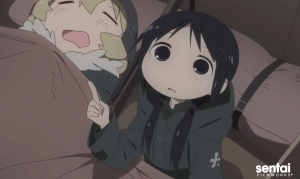 Girls’ Last Tour offers an interesting blend of slice of life comedy and adventure tropes which are not easily found in other series. 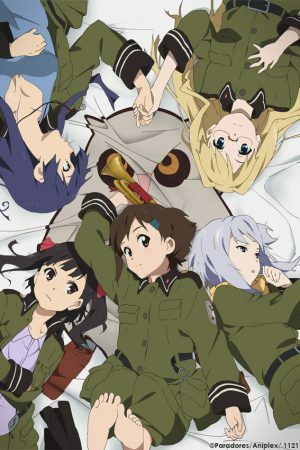 The above six recommendations provide similar experiences to White Fox’s anime, as they center around the friendship between younger girls while they explore unique and creative worlds. While waiting for next week’s episode, we recommend trying one of these out. 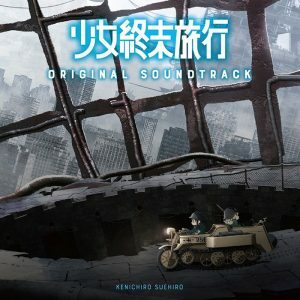 Is there any other anime that you would recommend for fans of Girls’ Last Tour? If yes, please leave us a comment below with your recommendations.